Puerto Princesa Palawan has now evolved from laid back to “highly urbanized city”. Hence, the city is merrier than ever with the increased in population and challenging traffic jams. Many of the citizens believed that the declaration was at first a political strategy to come up with a third congressional seat. I think, today, PPC really qualifies for it. We now have three malls, Robinson’s, SM, and NCCC who just recently upgraded to such. Banks rolled from 4 to 10. The old domestic air terminal is now an International Airport. The city has now at least 5 gated communities. At least a total of 8 mall cinemas from nothing for more than a decade. And again, traffic jams in almost the whole day. I think that’s evident enough to qualify as a highly urbanized city. Do I like it? Yes and No. Back then, in the late 80’s you can still count the number of tricycles running around the city. The drivers became familiar faces in your daily routine. They would exactly know where to bring you. A friend of mine, Melisa, who grew up here use to tell me stories of the good old days. According to her, they can leave their things and slippers in the trails near the major road sidewalks and not lose it. Their slippers awaits them exactly the same place where they left it. Things have changed from way back then. The scenery that really caught me when I first arrived in the city was the presence of caged birds and animals for sale in the market. This was before the anti trafficking law was strongly enforced. Vendors sell most of the wildlife in Palawan; the talking Mynahs, the green parrots, Philippine Cockatoos, squirrels, armadillos, porcupines. They also displayed Orchids and other ornamental plants, like rattan. The sight did indicate how rich the flora and fauna of Palawan is. 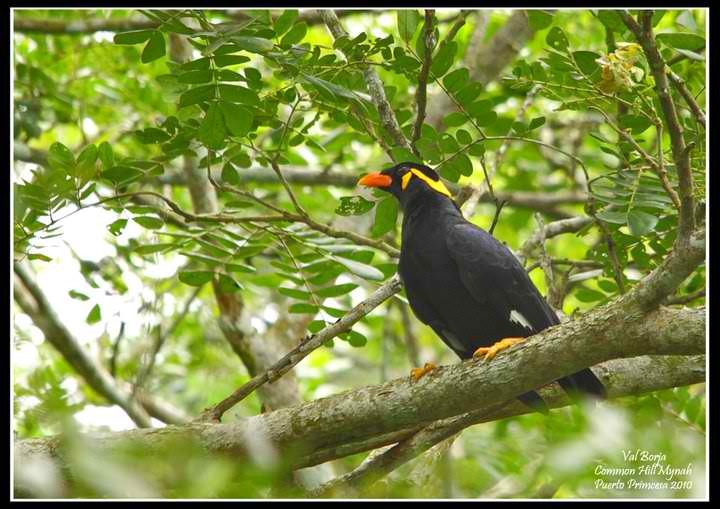 The capacity of the Mynah bird (Chiao or Kiao) mimic every sound they’re exposed to entertains me a lot. So while they’re on the side walk, they would learn the sound of motorbikes, tricycles, jeepneys or jitneys, and cars. Puerto sounded like a highly urbanized city then as it is today with the Mynahs doubling the sound of the engines. They could have been enough. Anyways, that was Puerto Princesa before my friends. Today, not a single of those species are found in any households in the city. The birds and other animals are now free. The likes of Che Guevara have walked along those sidewalks, organized the Mynahs and the gang to claim back their FREEDOM. The Mynahs learned to shout, GET US BACK TO THE WILDS! They are my heroes and I’d like to think that’s what happened. Thanks to the City’s and the Province’s strict enforcement of the environmental laws and ordinances. So now, where are the beaches? On Puerto Bay, I would say, I came here a little late. There’s not an image of the stories they tell about how pristine the bay was. Imagine catching fish for their viand by just throwing hook and line through the kitchen window! Yes. Stilt houses abound along the shore that covers both sides of the wharf. This was Puerto Princesa Palawan’s first town site. All major economic activities of the city are catered there and everyone wants to be near the place where the money is. And yes, wildlife traffickers go through this pier. But here’s the good news! The government of Puerto Princesa Palawan is exercising its political will to clean the bay area. One of its initial moves was to relocate residence out from the shores of Puerto Bay. So now, the left side of the wharf area has been converted to a Bay Walk. It is now a venue for lots of fun activities of the city. There was also the Fishery Resource Management Project implemented along the coastal communities in both Puerto and Honda Bay areas. Dolphins play around the bay area now a days. And very recently, sightings of Whale Shark or Butanding have been observed! So for basking into clear waters and sun, we go to Honda Bay! 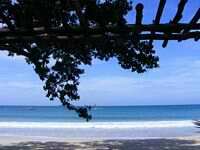 There are smaller islets here which are perfect for swimming, snorkeling, and other fun beach activities. Snake Island. The island looks like a snake when viewed on top, that’s why the name. I enjoyed planting mangroves here and also measuring the island with the GPS. There has been attempt from outside investors to build a high end resort and hotel in this physically vulnerable islet – reported to be unstable according to some geological assessment. NGOs are taking stand against privatization of the place. 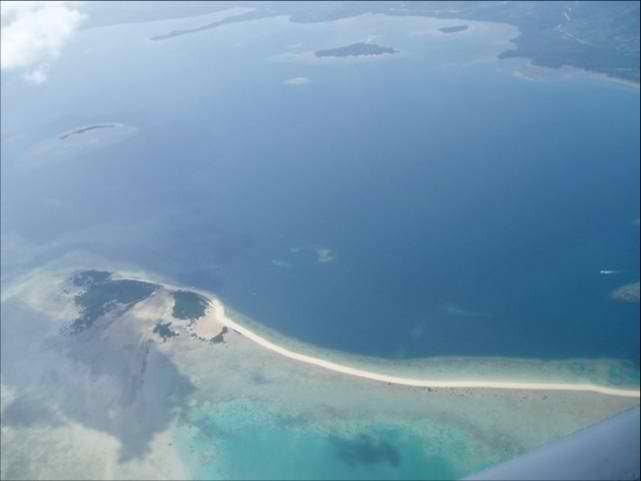 Luli Island (Lulubog Lilitaw) – a sand bar which submerges (lulubog) and emerges (Lilitaw) when the tide is high and not. 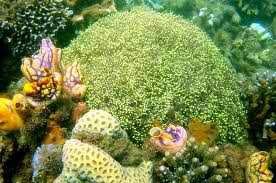 Pambato Reef. A community-based managed fish sanctuary site. Great for snorkeling! Pandan Island – privately operated resort which is open to the public with certain fees. 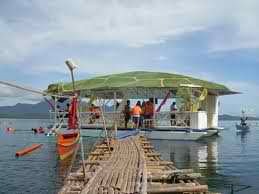 San Carlos Floating Restaurant. 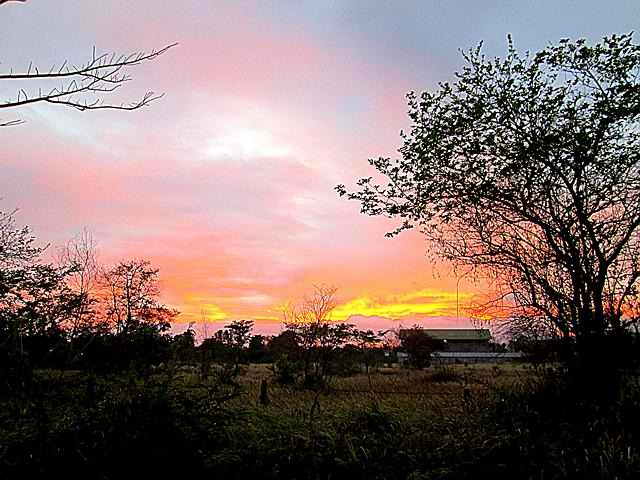 An ABS-CBN, and other local NGO supported community-based eco-tourism venture. Commencement Activity With Sitio San Carlos Community Residence and Puerto Princesa City Rotary Club on Bio-Sand Filter (BSF) Project held at the Floating Restaurant at Honda Bay. 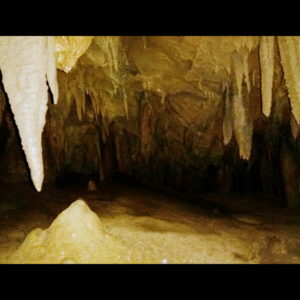 And of course, Puerto Princesa Palawan’s jewel, the world famous Puerto Princesa Subterranean River National Park or Palawan Underground River in the west coast, with the chance to shake hands with the monkeys along the monkey trail towards the outflow of the underground river. 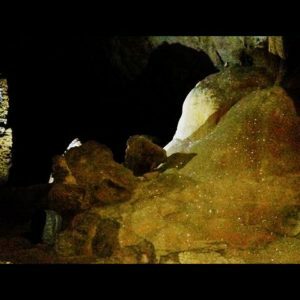 Then you’re in for a kilometer of dark adventure with the bats and stone formations. It’s quite an unforgettable experience. 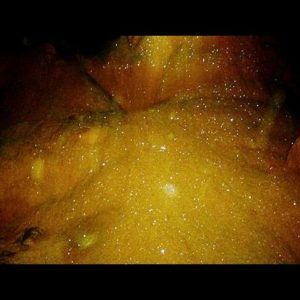 Stalactites and Cave Crystals in one of the many chambers of the Underground River. 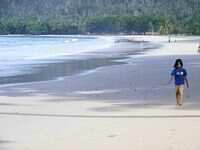 I had fun memories with my son and office mates in Nagtabon Beach, also in the West Coast of the city. Our lunch was always filled with grilled fresh fish as the boys swam into the deeper portion, drop a net (the legal size) there and drag it towards the shore. 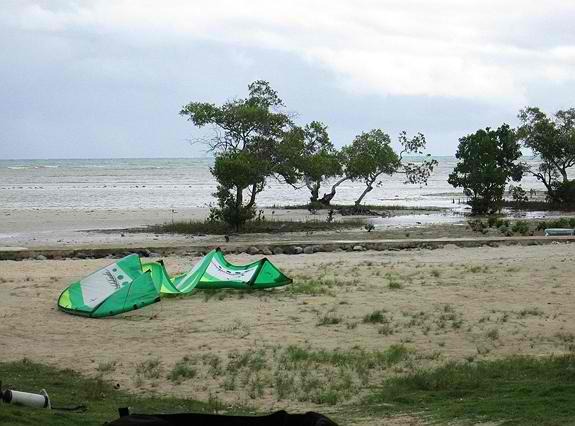 Today, Nagtabon is now a beach for surfing and boogie boarding. 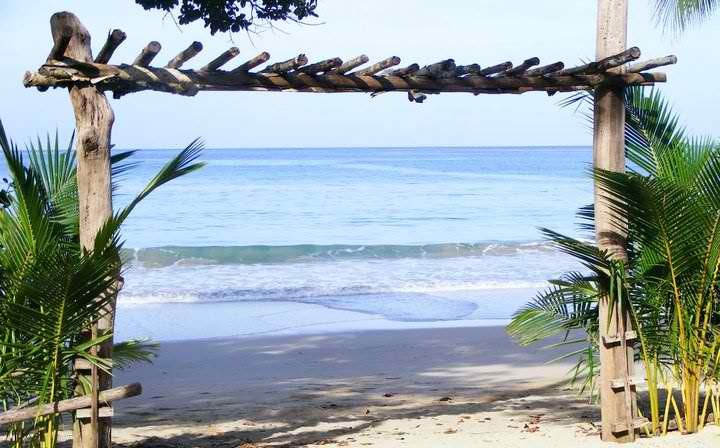 Here’s another west coast alluring beach, in Talaudyong, where everyone is Invited. Talaudyong is a bit further than Nagtabon beach. If you want to enjoy a night life in Manila and you have a flight scheduled the next day you might as well not sleep at all and just head directly to the airport. While tipsy and sleepy you’ve got to be at the airport at 4am, check in as fast as you can and then doze off till you hear an announcement that your flight is delayed. That’s how it was in the 80’s and early 90’s. You actually won’t dare doze off your flight seat away as there’s only one airline and only one flight schedule for the day. Today Puerto Princesa Palawan Airport caters three Airline flights; Philippine Airlines, Cebu Pacific Air, and Philippine Air Asia with in-routes from Manila, Cebu and Davao. Now poised as the best island destination of the world PPC became popular as the conference capital of the country. Everyone should be aware of such events for it floods all the hotels, inns, pension houses with guests and airfares shooting up as well. Just imagine a two-week long national level athletic events were held here within the span of three weeks! Aside from having to pay almost P6,000 for one-way fare I almost lost my seat for coming an hour late of its prescribed time of 2 hours before flight scheduled. Peak season is from December to May of each year. 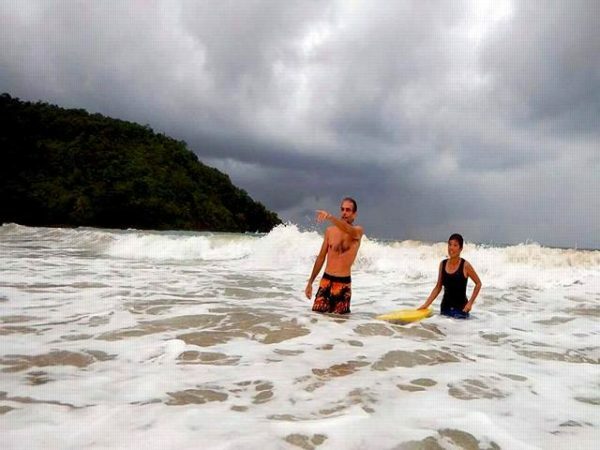 It is always practical to travel Palawan with Puerto Princesa as your base, picking from the variety of accommodation facilities from high end to cozy back packers havens. The number have grown from, I think, 10 to a hundred. One thing I like about Puerto Princesa Palawan is that there are lots of NGOs and individuals supporting organic and natural farming. So there’s ample supply of organic unpolished rice, tea made from local herbs, and other organically grown vegetables. PCART and IDEAS are two of those NGOs producing organic farm products. We get a Happy Box from Aloha House every week for P400.00, paid two months in advance. For seafoods, the world known Ka Lui’s Restaurant will do for me. With my mostly vegan vegetarian diet, I go to Ima’s Gulay Bar. For a variety of sea foods and meat cuisines, I take my friends word for it, Kusineros, Chicken Inato, White Fence, Mang Inasal, and a lot more. For fast foods, there are 5 Jolibees scattered in the city, and a lot of them abound inside the Robinson’s Place and SM malls. The beauty of being a nature lover is that you can always join in and be part of what Puerto Princesa Palawan is up to for its future, being the capital city of the Philippines Last Frontier, its Ecotourism Industry. 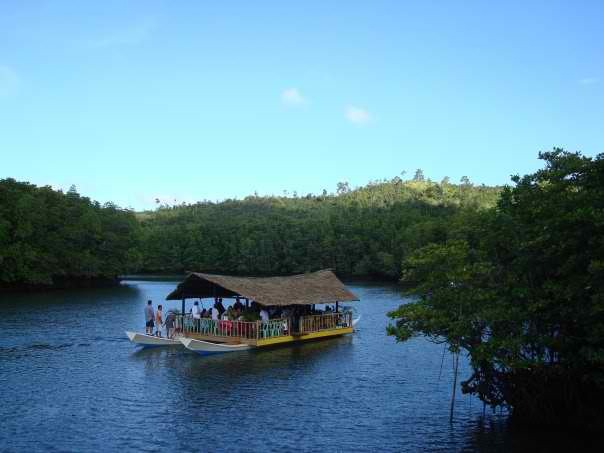 Puerto Princesa Palawan invites you to its Love Affair with Nature to make your Valentine’s Day more significant. And, to its Pista y ang Kageban (Feast of the Forest) every June 24th of each year. The two major events are devoted to tree planting of mangroves and forest trees species. In addition, the city also celebrates PPUR Day. Also in the month of June, the Provincial Government holds a month long celebration of Civil Service through the Baragatan Festival in the city where all the Municipalities come together and display each of their products unique to their places. Funny though, chocolates from Malaysia were displayed too. There’s also the Float Parade and Street Dancing Competition. 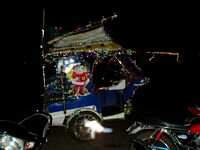 Christmas season in Puerto Princesa Palawan is hard to miss. Both the provincial and city government compete for the highest Christmas Tree in Asia. 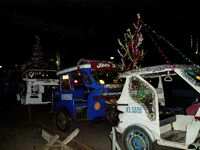 The provincial Government also holds Paskohan sa Palawan. 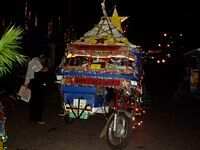 Amazing fireworks is a thing to look forward to or of riding a Christmas decorated tricycles. Welcome to Puerto Princesa Palawan!